Do you remember when you fell in love with rock ‘n’ roll? How about the first time you set eyes on a Gretsch? 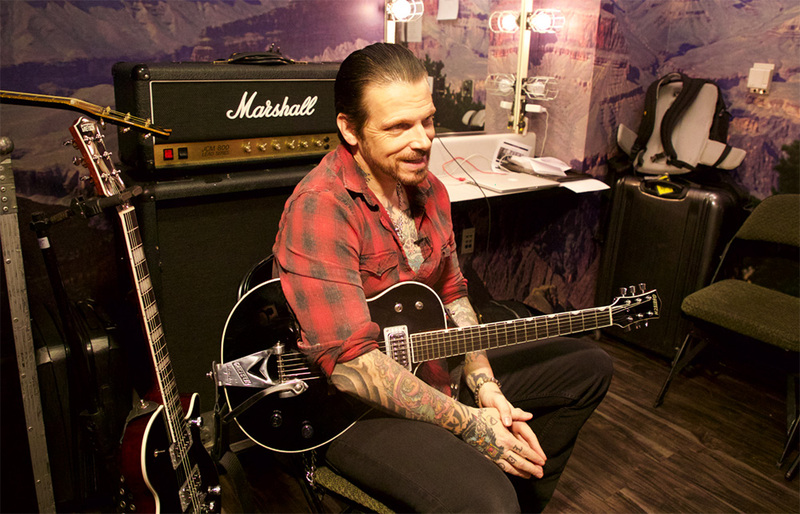 In a new video, Ricky Warwick of the Irish-American hard rock band Black Star Riders tells us about his earliest memories of music and how Gretsch’s timeless look drew his attention. “The first time I was aware of Gretsch guitars was seeing Eddie Cochran when I was a really small kid and just thinking it looked really cool,” says Warwick. As a youngster growing up in Northern Ireland, Warwick would sneak an AM radio to bed every night in hopes to hear T. Rex or Sweet come over the airwaves. The futuristic sound of these bands entranced Warwick. Even when the signal cut out on him, rock music left a hunger Warwick was determined to feed. Black Star Riders was cultivated on the foundation of the former Irish hard rock band Thin Lizzy, with Warwick joining as the band’s frontman in 2010. Since then the group has gone on to turn out three hard-hitting rock albums, with the most recent Heavy Fire receiving critical acclaim. With a heavy touring cycle on the agenda, Warwick wanted something new to stand out in the mix. Warwick made a call to Gretsch and was quickly hooked up with the G5220 Electromatic® Jet™ BT Single-Cut with V-Stoptail, G6128T-TVP Power Jet™ with Bigsby, and a G5022CBFE Rancher™ Falcon™. 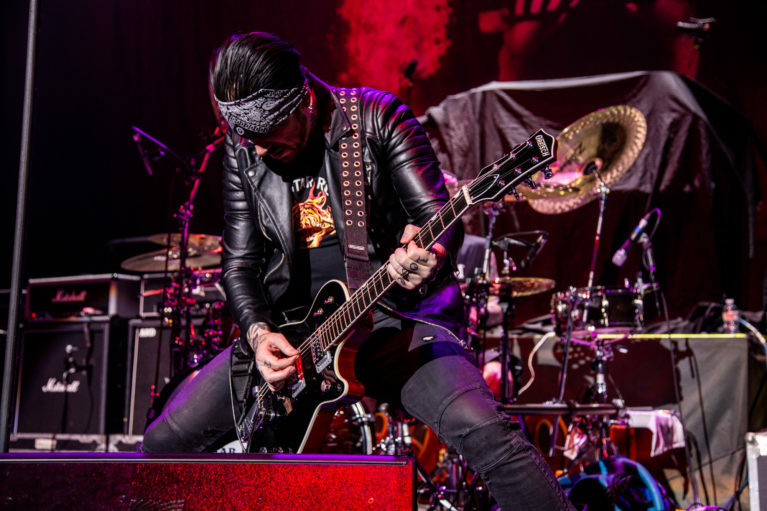 The 6-strings were just what Warwick was looking for to make his own mark on Black Star Riders and cut through the roar of the band’s two other guitarists. Watch our interview with Warwick below, and check tour dates for Black Star Riders here.